Sometime in the 1990s, NBC decided to promote its usual lineup of summer reruns with the tag line, “if you haven’t seen it, it’s new to you!” I’ve thought about that line occasionally since I started grad school, and came to it again this week as I’m working on syllabi (including, yes, a belated book order) for the fall semester. The problem I’m facing is a familiar one: how to balance the desire to engage in discussions of the newest work on a given topic—in this case the American Revolution—with the fact that they haven’t yet encountered some of the classic arguments. It’s a balance that I’ve been trying to strike in my syllabi since I began teaching, and it’s an issue that comes up regularly in discussions about pedagogy in general and about preparing for the job market in particular. Some departments emphasize teaching the new as a general rule, enough so that I was once asked in an interview about why I had assigned an essay by Alfred Crosby because it was from the 1970s. (Tip for job marketeers: you can defend yourself if you have a reason. I assign the article, which I got from a colleague, but it works at the beginning of the survey course and offers a super-clear argument.) In other cases, historians emphasize that a bit less so, in particular for fields that have odd temporal disjunctions in the historiography where everyone turned away from a topic for twenty or thirty years. 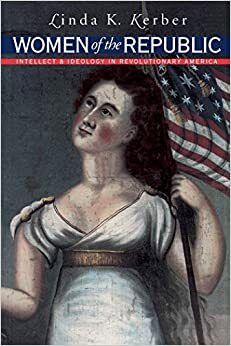 In particular at the moment, I’m thinking about whether to assign Linda Kerber’s Women of the Republic as part of my American Revolution course. As our readers probably know, it’s an incredibly important book, but it was published in 1980. Does that mean it’s off-limits and I should be assigning something from the past ten years? At the risk of arguing with a straw man, I would say no, for precisely the reason that NBC was pushing about reruns of Seinfeld, Friends, and Mad About You. My students may have heard the term “republican motherhood” in their survey courses, but they haven’t fully engaged with Kerber’s argument and evidence, and so it is indeed new to them. That’s an experience I think students should have, to confront revolutionary arguments in their original contexts. Now, I don’t want to do that completely at the expense of newer scholarship, and if I do assign Kerber we will also likely read some number of essays that build on or confront her arguments. But when students engage with that more recent scholarship, they’ll then do so having read and understood Kerber. Considering Women of the Republic as new scholarship is also a bit ironic based on my experience with the book in graduate school. For my cohort in our first year (I started in 2004), it was one of a number of books that had almost mythical significance. We heard about it as pathbreaking, trailblazing, and any number of other compound adjectives to describe how innovative it was and the ways in which Kerber opened up new lines of inquiry as we read scholarship from the previous fifteen years or so, that is, after 1990. But that had a curious effect. When we finally got to read Women of the Republic, several of us had the same reaction: “this is it?” Because we were first-year graduate students, it took us three days to realize that we had already internalized all of her arguments by reading other scholarship. “Republican motherhood” was no longer new to us, and by having read out of order, we ended up initially reacting to her work as a matter-of-fact statement of what we already knew. It’s a Friday teaching post, so I’ll conclude by throwing it out to our readers: when you’re preparing a course, what classic works stay on the syllabus? How do you strike the balance? I also often assign a chapter from Bailyn’s Ideological Origins of the American Revolution on the classic side, but rest assured there are plenty of 201X works in the pipeline. Pun very much intended. It’s Friday. I have heard of some graduate faculty and students who organize their field reading in historiographically chronological order. There’s something to that idea, kids. Simply put, is it the best work out there on the subject? If the research has been superseeded there’s no reason to read it because it was “ground breaking” for its time. But if it is, there’s no need to ditch it because something similar has a more recent copyright date. Thanks for your comment, Alec. Part of the underlying point of the post as I intended it is that the decision is a bit more complicated than that for two reasons. First, whether a work has been superseded is not quite the right question. In most cases, as you know, an influential book shapes questions (and answers) that later historians come up with in all sorts of ways. Have others built on Kerber’s work, chipped away at it, and otherwise made their own claims? Of course. But her basic framework is still both important and influential thirty-five years later. So in that sense it’s less about which book is most “important” and instead about which book does the work I want it to do in the context of the course. Second, it is indeed important to read groundbreaking works, both for its own sake and because my department (like many others, I’m sure) requires that majors develop skills in historiography. We want our students, over the course of the three years or so that they’re with us, to develop a sense of the history of the historical profession, where arguments and debates have led, and so on. I perhaps didn’t make that part clear enough in the initial post. I think they’re questions worth revisiting, each time a teacher builds a reading list . . . has a certain book “held up well” as a body of work on a particular topic, and/or are there other reasons to include it, that will help you make historiographical points? Is newer scholarship always more valid or more relevant? (Obviously not) Where has this author taken another’s basic research and added something new and useful? How is his/her argument different, based on the same basic body of primary source material? Hard to imagine certain courses, especially survey courses, without some of the “classics” being on the list. I’m late to this post, Joe, but I very much enjoyed it. During my reading for comprehensive exams, my advisor and I discussed this question a great deal: is it better to engage with newer works or to have a thorough understanding of the classic works in the field? Given that I was doing comps, and that no amount of perspiration on my part was off-limits, I could do both, but the subject came up as a pedagogical question as well. My tentative answer is that I prefer to assign readings (within reason; this is harder in a survey class, easier in a more specialized one) in little thematic clusters, in which I offer older works that set the historiographic tone of the subject, and pair them with newer scholarship that challenges or moves beyond the classic tome. In other words, I like my students (again, where possible) to get the chance to read what more recent scholars are arguing against, and to discuss the relative merits of the newer approach in context with the older one. This has already thrown up some organizational challenges for me, particularly about how to talk with the students about themes that might run all the way throughout a class on the American Revolution, but which might feasibly form a cluster in and of themselves, like religion. The challenge of balancing a historical narrative with a historiographical one, I have already found, has been one of the more surprisingly difficult things about teaching survey classes like the one you describe here.